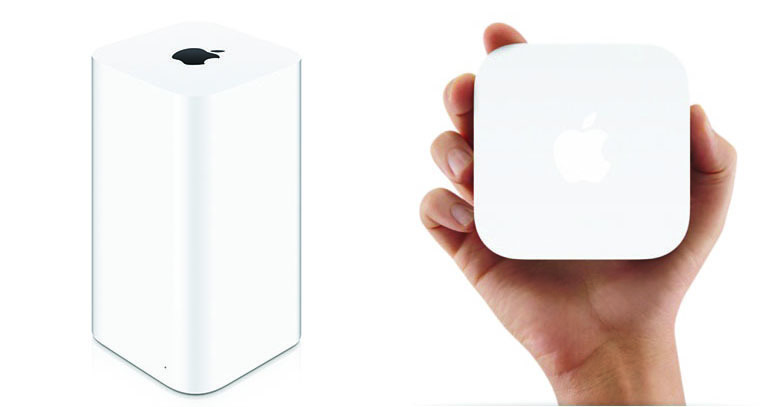 Best Buy offers the refurbished Airport Express for for $59.99 shipped (Reg. $99 new). This router is Geek Squad refurbished, and is $40 off the original price, and beats the Apple refurbished price by $15. Over 650 Amazon users have rated this popular router 4.5/5 stars. It features dual-band 802.11n connectivity for optimal performance and reduced interruptions. It also features a rear USB port for wireless printing from network-connected devices. 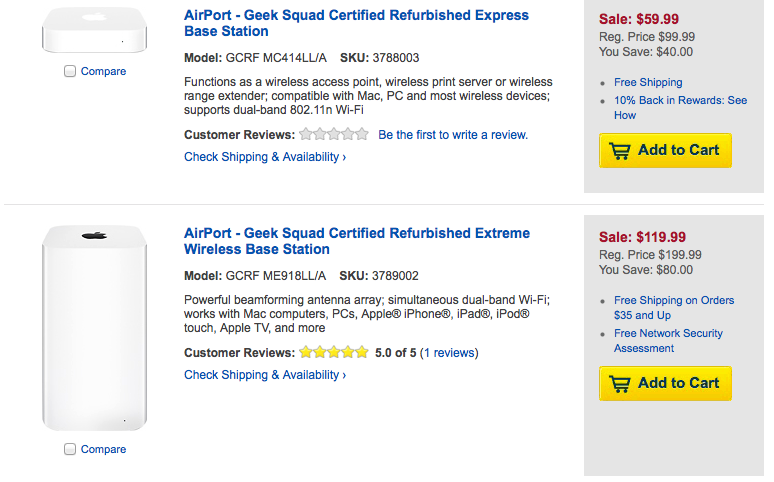 Best Buy also has the refurbished Airport Extreme for $119.99 shipped (Reg. $199 new). This Geek Squad refurbished router is $80 off the list price and $50 lower than the Apple refurbished price. Rated 4.5/5 stars by over 570 Amazon users, this is one of their most popular routers they sell. It serves ultrafast 802.11ac WiFi, offers USB connectivity to easily share printers and hard drives, and can be configured with the Apple AirPort mobile app. Best Buy includes a 90-day parts and labor warranty with each of these models.